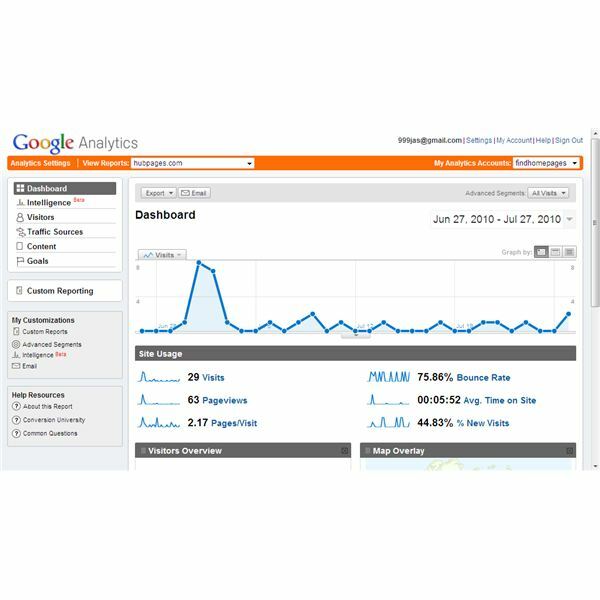 Why Use Google Analytics for eBusiness? Google analytics is a free tool from Google for webmasters to use that can be used for web analytics in eBusiness. It is one of the best free tools for both advanced and novice eBusiness owners. It provides a crucial collection of information and data that critically affects the success of an eBusiness. If you can master Google Analytics and use it to its fullest potential, you can definitely get an edge over your competitors in the business. Getting started is easy and first you need to create a free account at Google Analytics website. Then you have to add your websites that you need to monitor by embedding the Google Analytics tracking code in your website. There are five features on the main page of your Google Analytics dashboard. They are Intelligence, Visitors, Traffic Sources, Content, and Goals. If you use web analytics in eBusiness, you can use each of these features to accomplish a number of benefits. 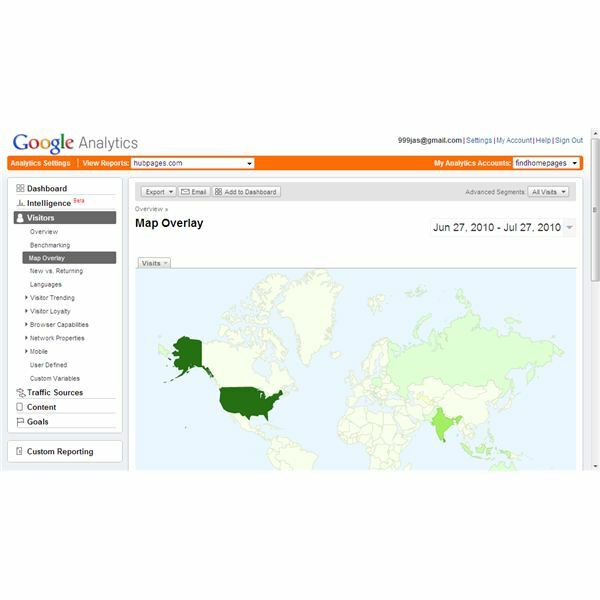 There are lots of advantages of Google Analytics for remarketers. It is more than just a free web traffic analytics tool. You can plan and implement your entire eBusiness using this incredible free tool. It also provides exceptional data to define your strategies in developing and maintaining the business. It is a popular saying that content is the king when it comes to the Internet. Mostly people come to the Internet looking for interesting and useful content. If you can provide them a very good content that is unique and valuable, you can definitely succeed in eBusiness. 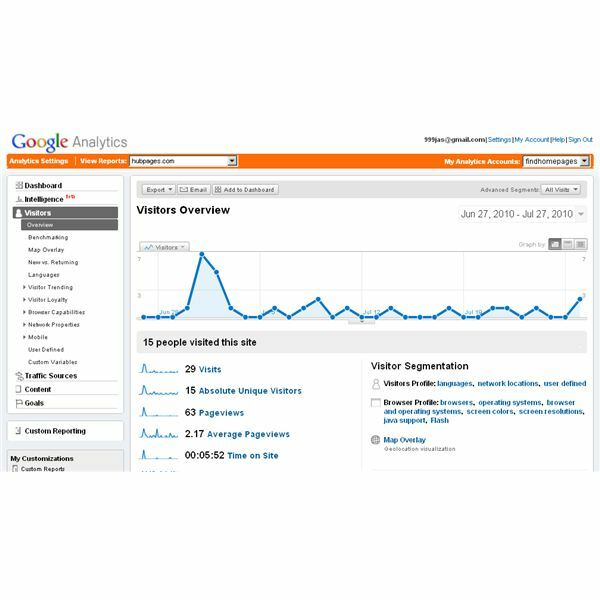 Your success can be easily measured using the Google Analytics Content page. Under Content Overview you can see the most viewed pages by your visitors. Under Top Content you can analyze how they have used your content pages. You can see how much time they have spent on your pages (Avg. Time on Page), from where they have exited your website (% Exit), Bounce Rate, and which percentage of single page visits are a result of a certain set of pages or page. If they have spent more time on certain pages, such pages that have something users want to read or see, then you can add more similar content for keeping visitors on your website. You also can see ‘from what pages people have left your website’ (% Exit). If the selling page of your website reports a higher exit percentage, you need to think about your eBusiness strategy again. Higher exits from specific pages means lower conversions resulting very low profits from your eBusiness. So you may have to think about redesigning the page, adding more content, changing the products that you sell, or changing checkout options to improve conversions of poor performing pages. So, this is an extremely important aspect of Google web analytics in eBusiness. 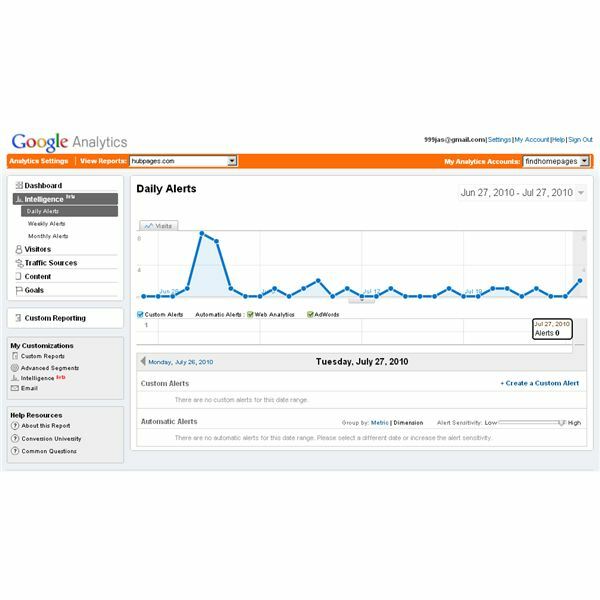 Please click on Page 2 to find out how to track visitors using Google Analytics. It is very important to understand your visitor’s behavior to succeed in online marketing. It is one of the prime concerns in web analytics. Being one of the best web analytics tool, Google Analytics doesn’t disappoint. You can see and analyze almost all the critical data to track the visitors of your website. If you use web analytics in eBusiness, this is another quite important page that you must carefully analyze. The Visitors Overview page displays a summary of main details about your visitors, including the number of visits, page views, average page views, unique visitors, and much more. As an eBusiness owner, your prime concern is to retain your website visitors on the site for a long period of time and make them loyal to your website. You can actually see whether you have achieved this. If your percentage of new visits (New vs. Returning sub section) is very high, then it is clear that your website hasn’t been able to bring back your previous visitors. Also, check statistics for average page views. Higher average page views means people really like to browse your website. If the average page views and the returning visitor percentages exhibit low values, then you need to revisit your website offerings and content because your website hasn’t been able to provide what visitors want or need. Also, there may be something that they don’t like on your website. Review how your website is designed. Browse around the website and see how you feel when you navigate through your website. Are there any fancy graphics that are slow to load? Are colors very reddish or dark that make reading hard? Are you providing invaluable content? If you find you have problems in these areas, then you should act quickly to correct them. A clear and attractive website creates a friendly environment for visitors. Consider adding a forum or some social networking widgets to increase user interaction with your website. Add an opt-in list and send the subscribers weekly letters with useful information. If you’re creative, you will see a gradual increase in page views and returning visits. Remember, new visitors hardly buy something from a website. Profits in eBusiness are all about winning visitor loyalty. If they don’t believe in you, they don’t buy from you, and you don’t make money. See the Languages and Map Overlay pages to see what language you should utilize based on geographic and visitor locations. If you are getting more visitors from countries like China, India, or Japan, you have to add a language translation tool to enhance the user friendliness of the website. Also check Browser Capabilities. Are you getting more visitors from lesser known browsers like Opera? If so, make sure your website can be properly viewed using such browsers. Otherwise, you may lose a part of your valuable customer base. 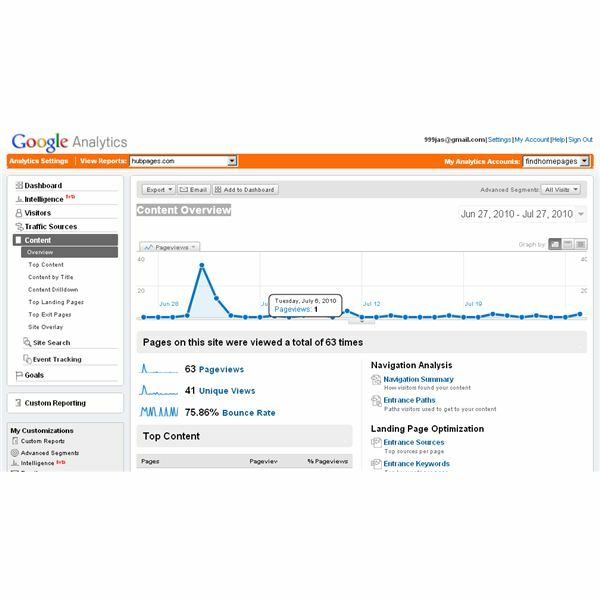 Please click on Page 3 to find out how to best use traffic sources, and the intelligence and goals features of Google Analytics. Traffic is the most important part of any website. No matter whether it’s a billion dollar online business or a simple blog. If your website is getting more traffic, you have a higher potential of making sales as an online marketer. But if you don’t use your web analytics to monitor traffic in eBusiness, you’re probably leaving a lot on the table. Google Analytics provides a comprehensive collection of tools to analyze almost every aspect of your eBusiness. Analyzing search engine traffic must be given the highest of concerns, especially if you depend on them heavily. Google Analytics has provided great tools for this. See how Search engines work for you under the Search Engines category in the Traffic Sources section. In most cases, Google should be the main search engine traffic source. The Keywords section is another important place where you must spend a lot of time, when using Google Analytics. You can analyze your best performing keyword here. If a certain keyword performs well in terms of traffic, you can consider adding more related content to those specific pages or categories of your website. Also, add more product-related information or articles to lead visitors onto sales pages. It’s a good way to benefit from search engine traffic. You shouldn’t forget that search engine traffic is the best form of traffic for eMarketers. Search engine traffic is very good for selling products and services, which often result in higher conversion rates. In the Traffic Sources Overview page you’ll see the main traffic sources of your website including search engine traffic, direct traffic, and top keywords that bring visitors to your website. Search engine traffic is important but they are also inconsistent and unpredictable. You can’t always rely on them as an online marketer. If you totally depend on Google for traffic, then think what would happen if you were unable to utilize Google for some reason. That’s why you need to pay attention to direct traffic as well. Understand what the best websites are that deliver more visitors and take the time to improve traffic from these websites. See how your article marketing and social websites drive traffic to your website? Traffic from social websites is very poor when we consider selling products, but it is one of the major aspects of the Internet today. Google Analytics provides a better service for web analytics in eBusiness by giving the ability to track Google AdWords. This is a must have, especially if you use AdWords to find the best performing keywords and also to improve your Google AdWords campaigns. The Intelligence feature in Google Analytics is a new feature that allows you to see an overview of a main event that happens on a particular day before segmenting the data to drill down further. You will notice such events by alerts. This gives you an overview of traffic developments on a specific website or a project. The Goals are just a page view in Google Analytics. As Google states about Goals "A goal is a website page which a visitor reaches once they have made a purchase or completed another desired action, such as a registration or download”." The goals feature is a great way to monitor the conversions of your eBusiness products. 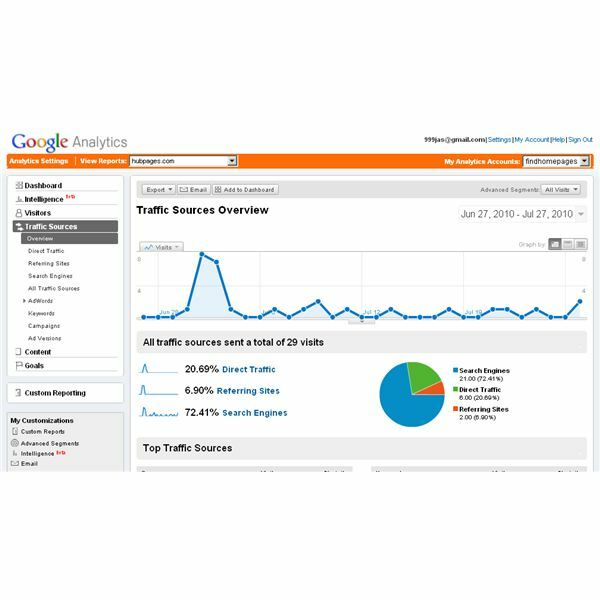 Google Analytics provides important and useful tools and information to manage your eBusiness operations and strategies that you can analyze in a quick and easy manner. With Its detailed and simple information, you can make informed decisions with confidence as an online marketer. Therefore, if you are looking for web analytics in eBusiness, then you must use Google Analytics to gain the upper hand with your web presence. Screenshots courtesy of Google Analytics (https://www.google.com/analytics/). Google Analytics is one of the most comprehensive tools to use for web analytics in E-businesses. You may read how to use Google Analytics to its maximum potential by reading this article series.